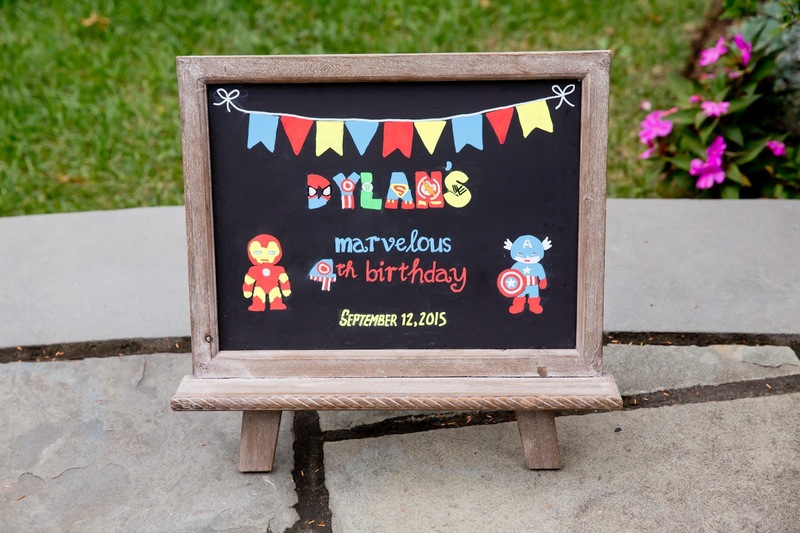 We had a MARVELous time at our nephew Dylan’s fourth birthday party. This year, the birthday boy picked out the theme. He discovered Superheroes after watching Marvel’s Superhero Squad on Netflix. Now he is obsessed with all things Superhero: t-shirts, costumes, action figures and books. 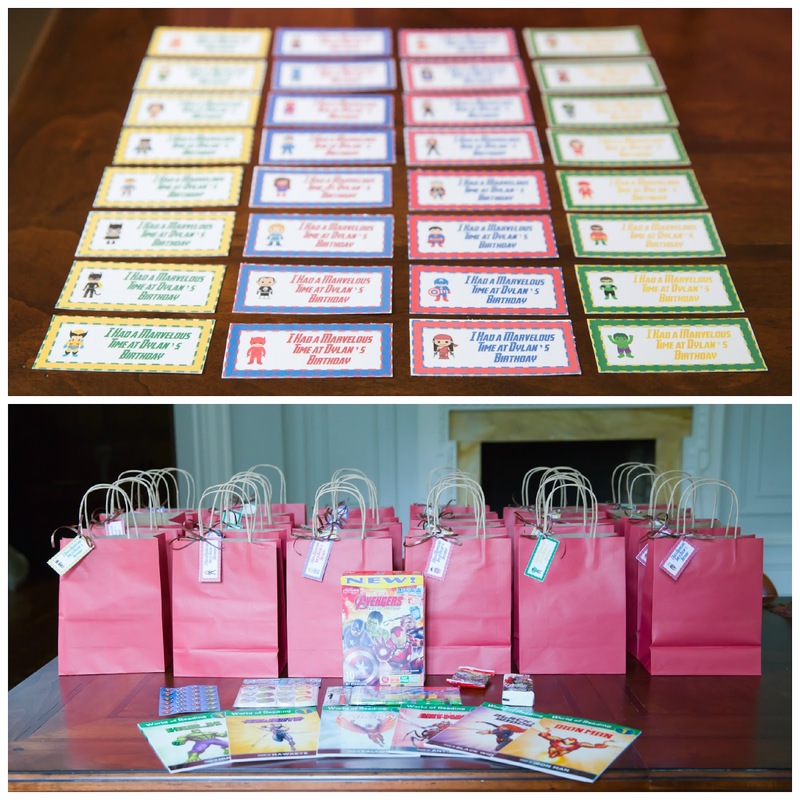 We had so much fun planning this SUPER birthday and we are SUPER excited to share all the details. We incorporated a blue, red, yellow and green color palette to represent the main Avengers characters: Captain America, Thor, Iron Man and Hulk. We placed balloon bouquets in these colors around the garden. We gifted Dylan with Marvel’s Titan Hero Tech action figures. These figures communicate with one another and Dylan LOVES them. As an added bonus, they served as the PERFECT decorative pieces on the appetizer table. Our favorite was Captain America’s shield. It was EASY put together and looked FABULOUS on the buffet. The kids loved the quesadillas shaped like Bats. They were perfectly sized for small hands too! AVENGERS ASSEMBLE! 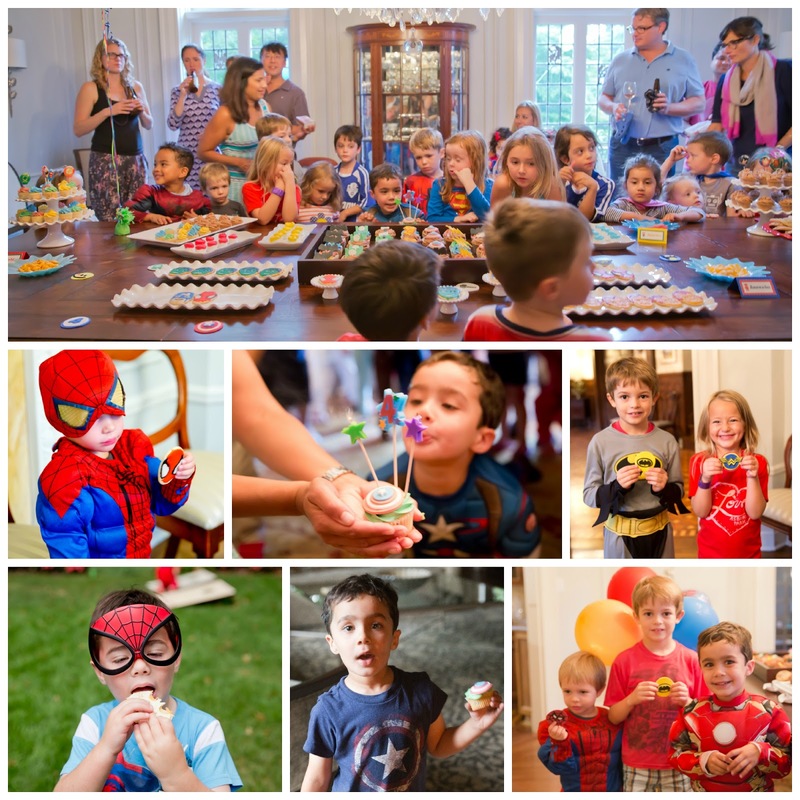 Suggested attire for guests was superhero costumes and t-shirts. Dylan dressed as Captain America in the first half of the party and Iron Man in the second half. 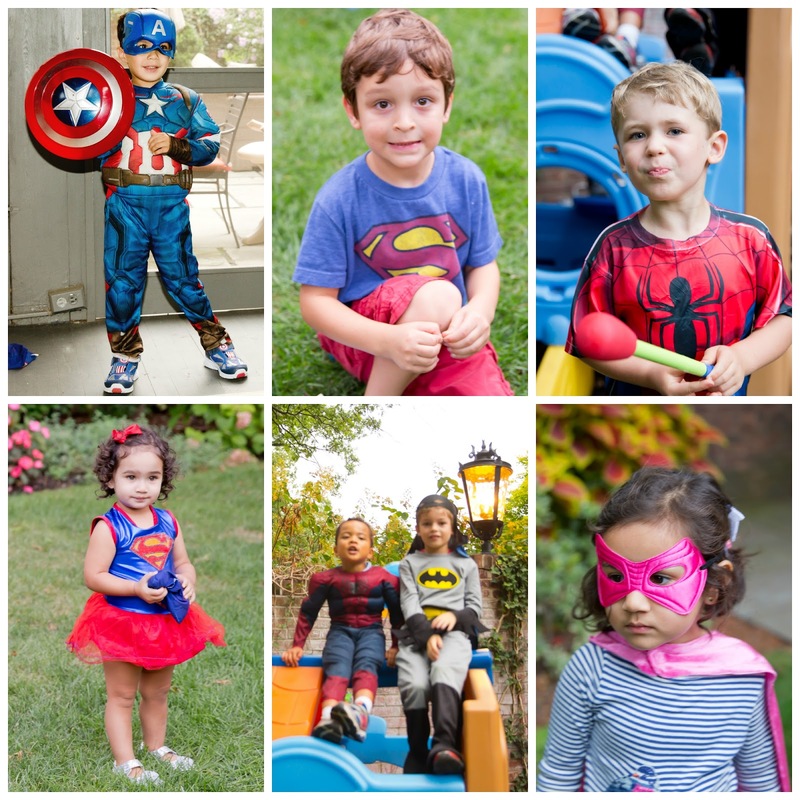 At the party, we had multiple Captain Americas, Spidermen, Supermen, Super Girls and Batmen in attendance. Don’t the superheroes look ADORABLE? 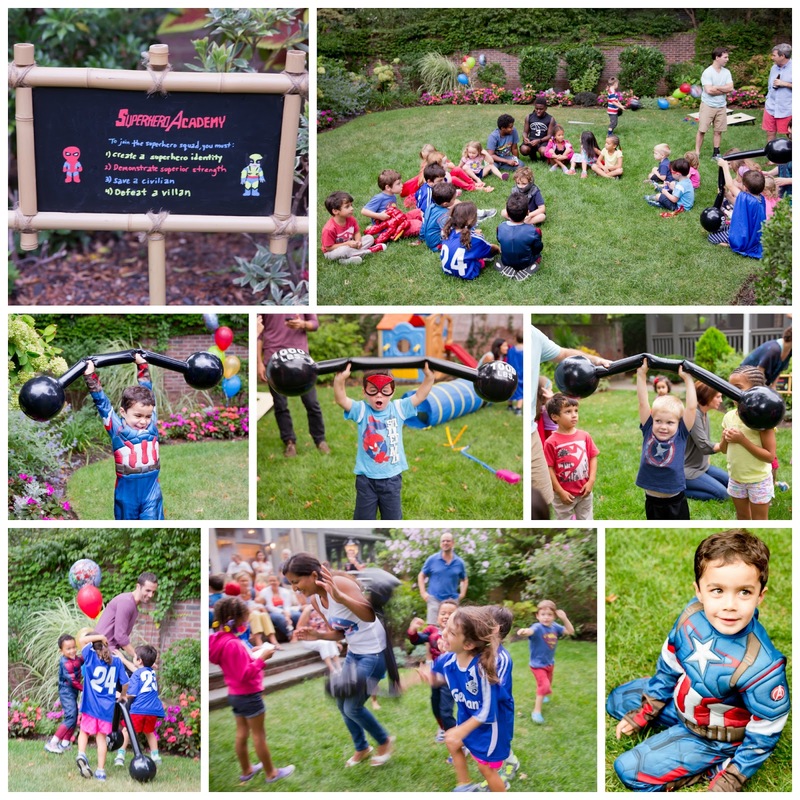 The kids demonstrated superior strength by lifting a 1,000 pound inflatable barbell. The next step was to rescue a baby stuck in a tunnel. The last step was to defeat villains hiding inside the bean bag toss game. But honestly the children had more fun turning some adults into villains and defeating them! Each child received their Superhero certificate at the conclusion of the Superhero Academy. The dessert table was MARVELous! This year’s cupcake flavors included Vanilla Chip and Nutella. Since adults prefer bite sized treats, we created the cupcakes in two sizes, regular and mini. We placed fondant shaped logos of Batman, Superman, Captain America, Thor, Green Lantern and The Flash on the big cupcakes. 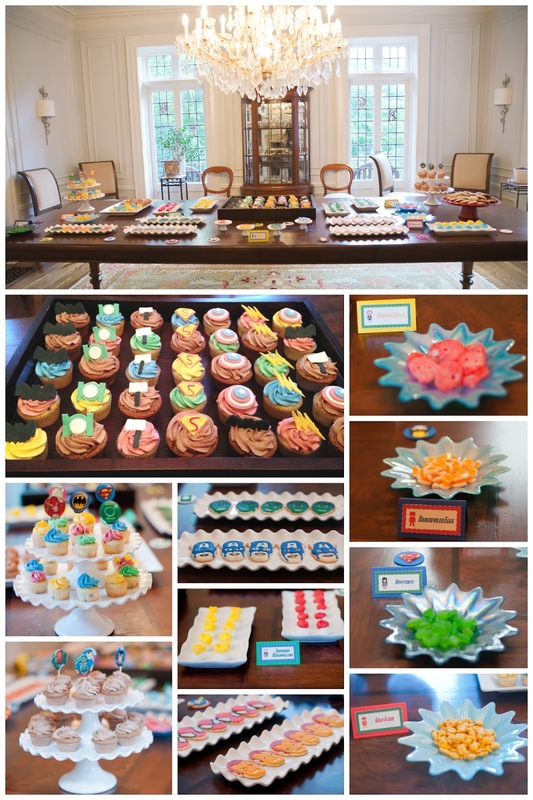 We topped the minis with assorted Superhero cupcake toppers. We baked sugar cookies in the shape of Captain America, Spiderman, Hulk and Iron Man. We dipped marshmallows in red, blue, yellow and green chocolate. We also included “Gold-Flash” and sea salt chocolate chip cookies. 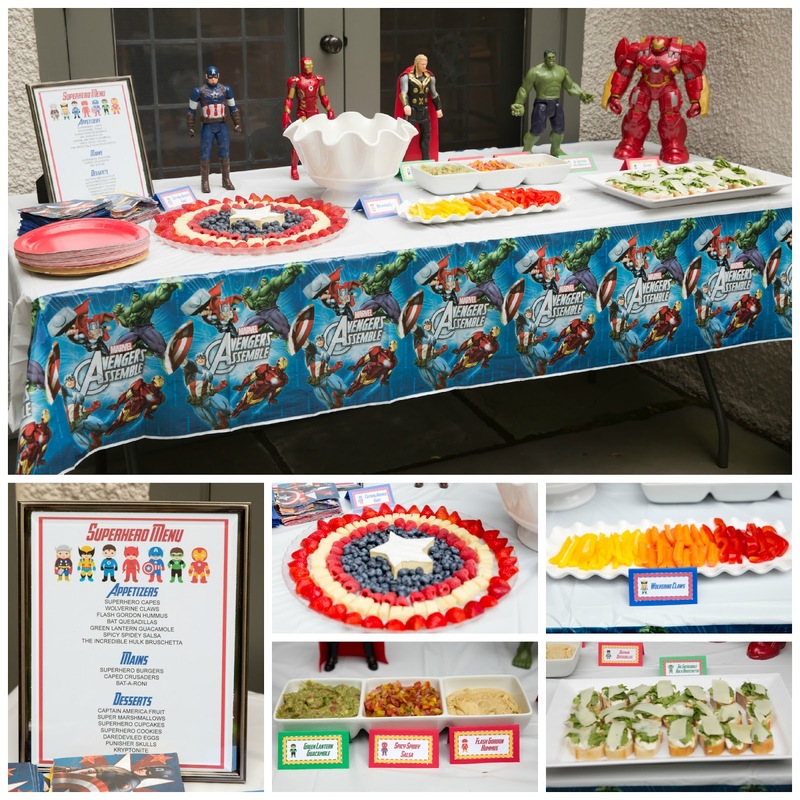 Gummy treats from Sockerbit rounded out the desserts: “Kryptonite,” “Punisher Skulls” and “Dare Deviled Eggs.” Dylan assisted his Auntie Kanchana in creating 14 different Superhero logos out of foam board. We scattered the logos throughout the dessert bar. The superheroes LOVED taking pictures with their logos! The kids loved picking our their superhero themed treats. As expected, our Captain America picked out a Captain America cupcake. The birthday boy changed into Iron Man and matched the large Iron Man balloon. Life-sized balloons are excellent additions to any children’s birthday. The kiddos LOVED playing with him. We created a blue, red, yellow and green cityscape from foam board, which served as an adorable Photo Booth area. The adults had a lot of fun photographing with the superhero props and logos too. We had an AMAZING time at this party. 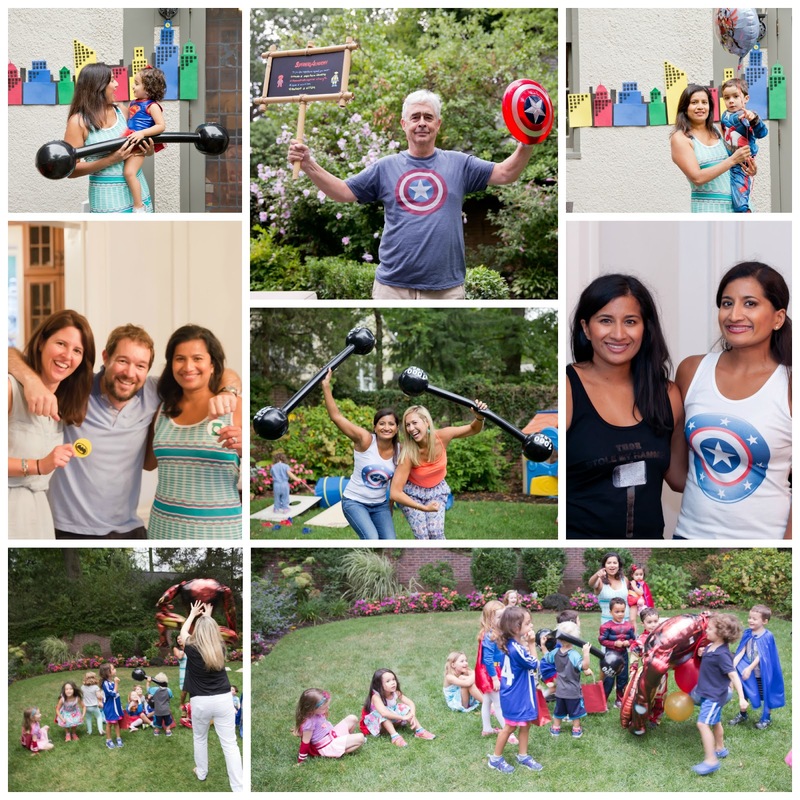 Keep in mind, superhero birthdays are just as AMAZING for adults. If you need inspiration, check out our friend Karl’s 30th birthday. Previous Post Let’s Have a Hoot! Next Post Smashing Pumpkin Cupcakes! !